One of my main Summer staples, when it comes to fashion, are sandals. Cute flat sandals, with details on them. I have officially refused to wear plastic flip flops. You know the ones that go on sale at Old Navy with different colors. I used to collect them so much I would have doubles of each color. I got rid of all of them. Why, you ask? Well now I feel like they make my outfit look too casual. I'm a girly girl and even when I'm wearing a white tee and jeans I still want to feel glamorous. Is that too much to ask? I don't dress up as much as you probably think I do, well actually I might. People are constantly asking me how to style simple outfits. I always wear one accessory that makes my outfit look like I put a lot more effort into it than I actually did. It can be a purse, a neckless, or even lipstick. But who has time for that everyday? I certainly don't and the easiest way to always feel and look good is by having a cute pair of flat sandals with small embellishments on them, and wahlah! That's how I always get compliments, buy cute shoes. They don't have to cost a lot just look cute. I even put it to the test. One day I wore rubber pink flip flops with a casual outfit and no one even noticed my cute floral top, then the following week I wore that same outfit. Instead of the pink flip flops, I wore a simple pair of faux leather beige sandals with spiked embellishments and received really good feedback. I want to feel comfortable not look too bummy, even though that's okay sometimes. So the only time I wear those rubber flip flops from Old Navy is when I'm at the beach and don't care if they get ruined from the sand and water. I literally now own one pair of grey flip flops specifically for the beach. You should try it! Last year I scored a good deal at Target on a cute pair of cognac flats with gold detail for $9 and wore them almost everyday in the summer. People would constantly compliment my outfits. So instead of buying 10 pairs of rubber flips flops I invested my money on these super cute flat sandals. I received happy mail today. I sometimes forget what I ordered online, but that's the exciting part. It's like Christmas morning every time. Well, technically Christmas midnight since that's when my family opens presents. Anyway getting off subject. Online shopping can be very addicting since you can buy it easily with a simple click. Then the fun continues until you get it in the mail. I know I'm not alone on this. I'm that creeper waiting for my mail man to come by ha ha. Here's what I got in the mail. All of these three pairs of shoes are from Shoedazzle. They carry some of the cutest and unique shoes online, at an affordable price for anyone. I also really love how often they have promotions. I'm calling the pink heels, with the bow, my Barbie heels. Pink is my favorite color right next to mint of course. I also received new items that are now part of my fashion collection on Markkit! The color of the berry top looks too red in this picture, but it's a fuchsia pink. It's so Springy and Summery I love it! This is some of my favorite type of fabric for hotter days since it's going to keep me cool. 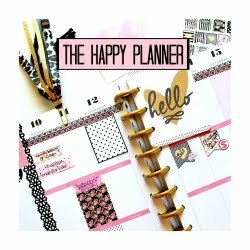 Have you lovelies bought something from my Markkit collection? I love seeing the pictures you send me when you style it! It brings me so much joy. You can shop the Belinda Selene Collection on Markkit here. 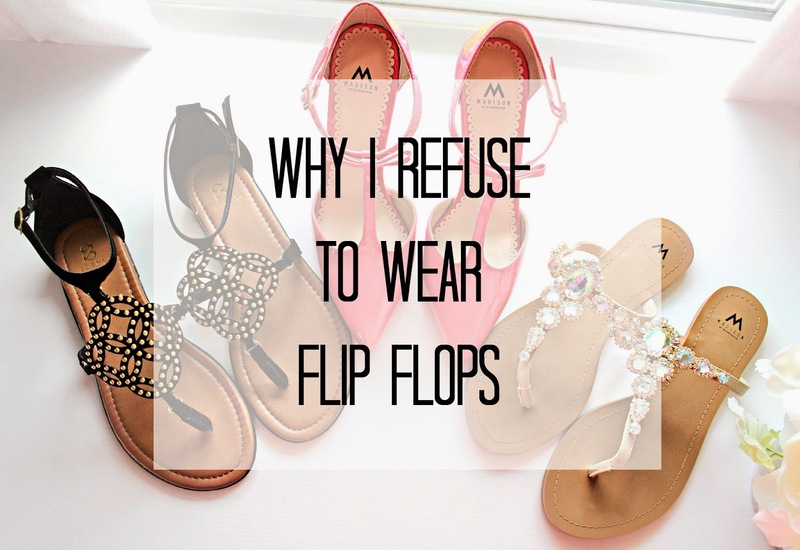 I would love to hear your thoughts on flip flops. How do you feel about them? What's your Summer fashion staple? Leave a comment down below so we can start a fun conversation. I'll make sure to comment back. I love those sandals you got!! I'm a Florida girl so I live in flip flops but you're right, sometimes they're just too casual. Ricardo and I went to Miami for our honeymoon and I feel ya girl! It's extremely hot and humid out there. We are planning on going back for our one year wedding anniversary, but to Disney World instead! I like to have cute flats or sandals..it really does change our outfits! I wear flips flops around the house and at the beach/lake only. Like you I feel they are too casual. Love the Berry Top and black flats. Oh yes I forgot to mention I also wear them around the house. Especially when I let my pups out for easy access lol. I'm excited to style the Berry Top. Thank you for commenting love! I totally agree with you Belinda! I don't feel put together when I wear flip flops and those Old Navy ones are so uncomfortable! If you really like flats, I recommend getting espadrilles! They are super comfy and very cute. I know they have tons at Target for less than $30. They make my outfits have like a boho vibe which I love! Love this post, thank you! 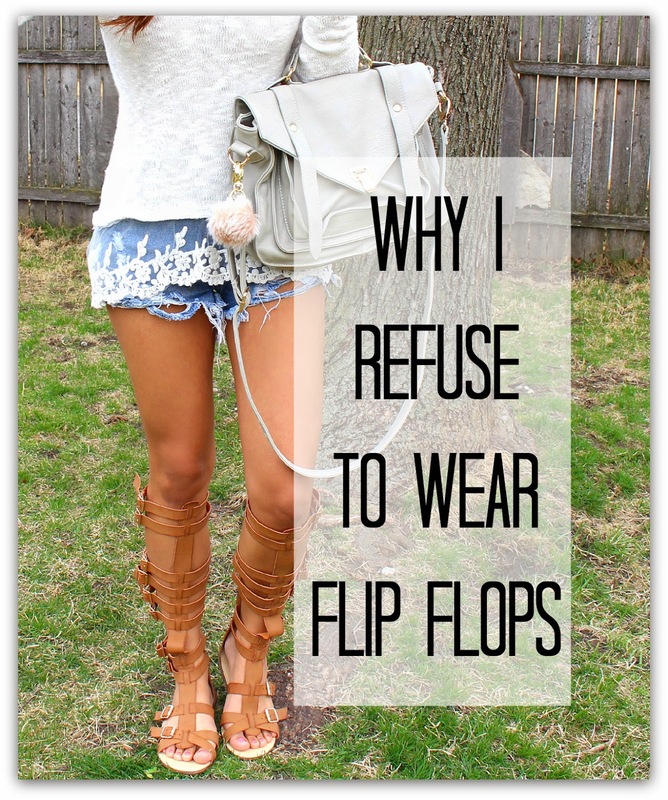 You totally just inspired me to not wear flip flops this summer unless I'm going the absolute casual route. I went to shoedazzle and ordered these sandals, but unfortunately the Delisa is out of stock in my size. I do have a question for you, some reviews said the sandal straps are way to big and this makes the sandal move around and not stay on your foot. Is this the case with this sandal? I too hardly wear flip flops. Mainly because my feet are super sensitive and any kind of poorly made shoe hurts my feet, especially if they are flat. Last year I found the Sanuk sling back sandels that are made from yoga mats and I love them. They don't hurt my feet and are supper comfy. I wore them a lot last summer and I am sure I will this year. I agree, flat sandals are so cute and give you confidence also who won the giftcards to target from your Sonia kashuk giveaway?? i stopped buying flip flops years ago. i dont want to offend those that do but, they're a little tacky to me. my "casual" sandals are a pair of brown letter rainbow sandals i got a years ago. theyre expensive for a pair of flip flops but they mold to your feet and late a really long time. other than that, i wear really nice sandals. i tend to buy more expensive sandals but they last for years. i live in RI so i can only wear them for 7 months max before it's too cold to wear them again. I totally agree, there was a time when i only wore flip-flops cos they were "comfy" and I was super "lazy"